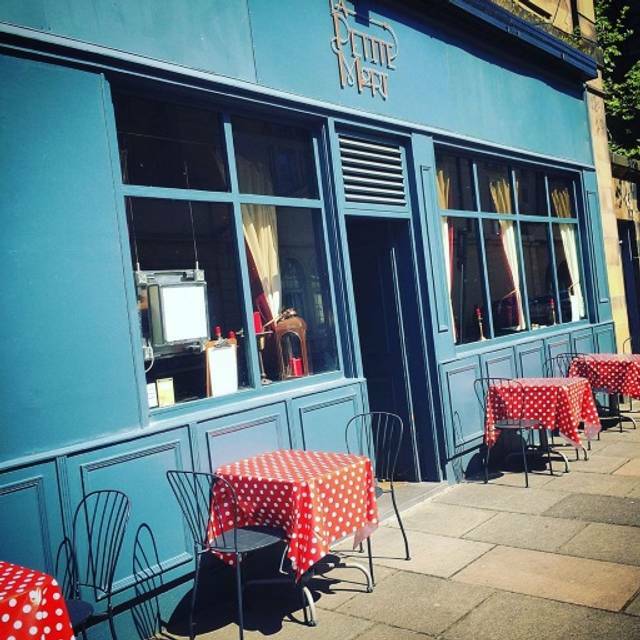 You must make bookings at least 5 minutes in advance of the time at La Petite Mort. 2 minute walk from bus stop. Bus numbers: 11, 15, 23, 36, 45, 101 and 102. A unique spin and foodie flare to locally sourced produce and inspiration from around the globe with a healthy respect for the classics. 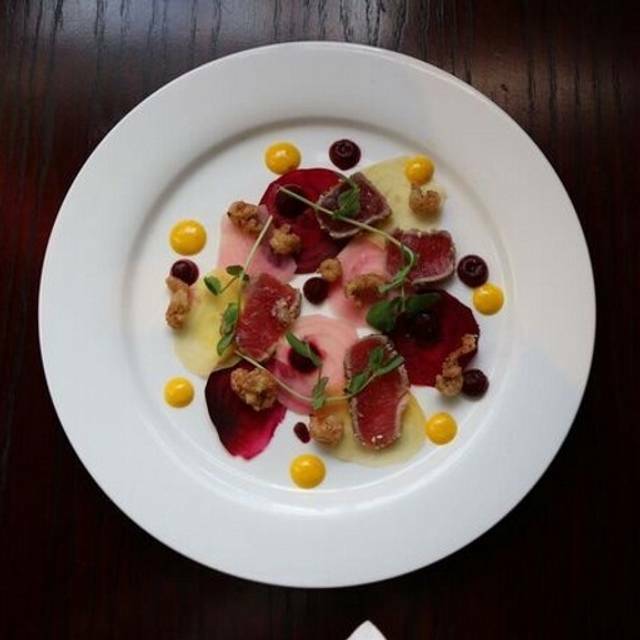 Seasonally inspired, our menus are consistently changing to provide their guests with show-stopping dishes. 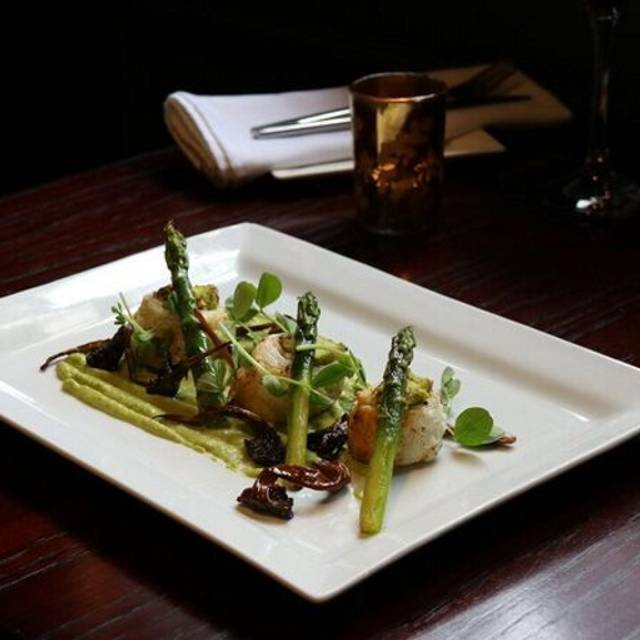 We serve lunch 12-4pm and dinner / Pre Theatre 5-9:30pm and we are open 7 days a week. Those looking for a quality libation will be me more than satisfied. Cocktails are served up until the wee hours, with LPM After 10 being our focus after food service every Friday and Saturday when La Petite Mort is transformed into an exclusive speak easy cocktail and wine bar! 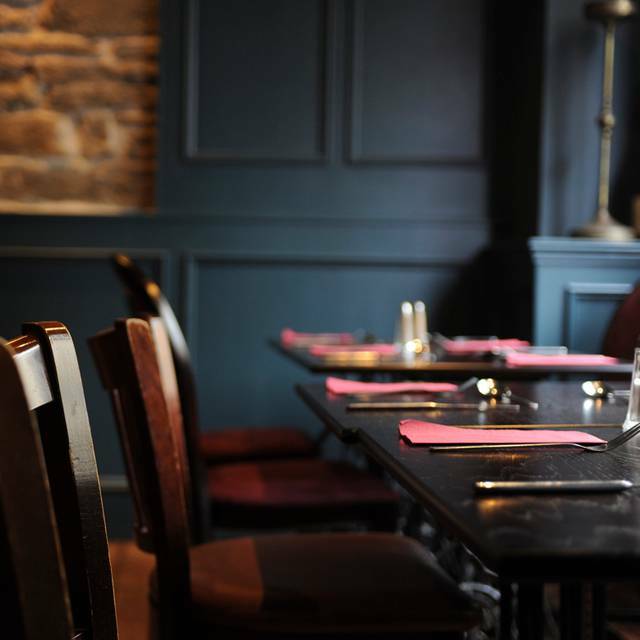 Table service only, we advise booking ahead but you are welcome to try the door on a first come first service basis! 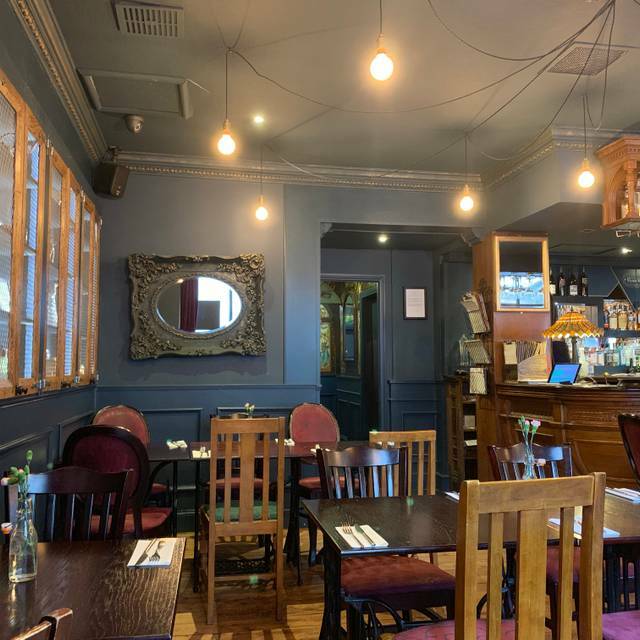 We also serve a local selection of craft beers and a rather extensive wine list, and not to forget, our adjoining bar Bennets hosts a range of over 200 Malt Whiskies and a lovely selection of Cask Ales. Best dining experience in town, cannot fault any of it. 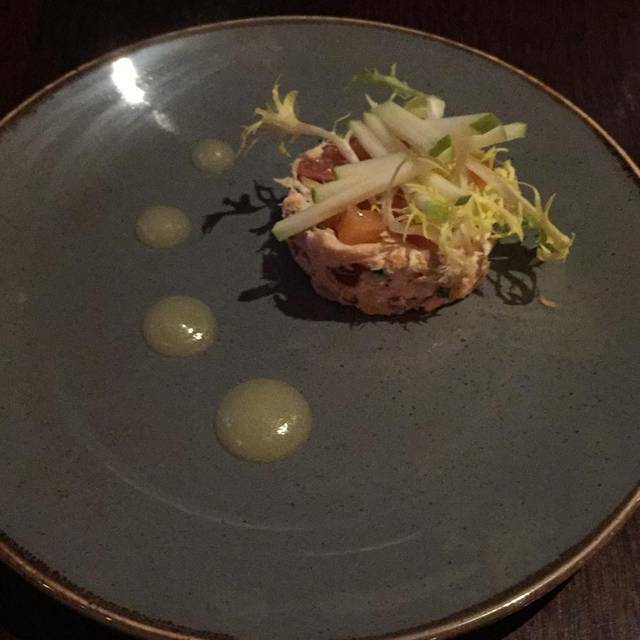 The food is exquisite and the service impeccable. Lovely atmosphere- service a little slow as we arrived when pre-theatre diners were leaving but otherwise good. Excellent food - highly recommend the Cullen skink risotto! Booked a table for lunch on a Saturday ( 1pm) and was a little surprised to find that my wife and myself were at that stage the only ones there. The member of staff present was very helpful and took our orders in a timely fashion. 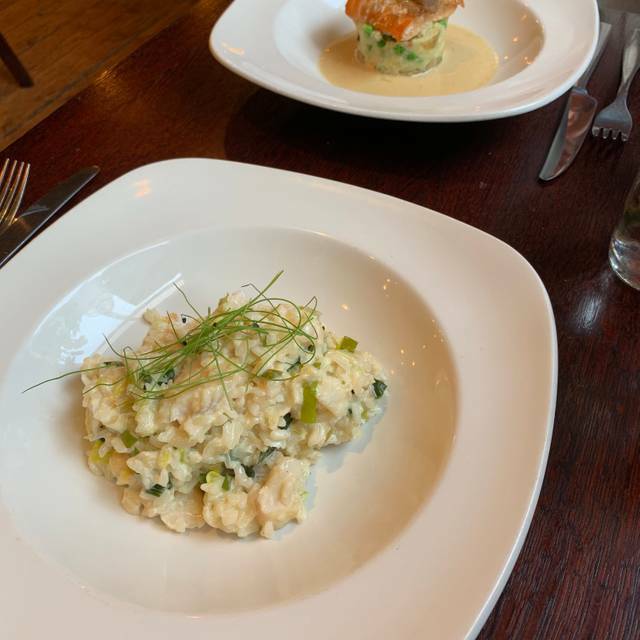 We both ordered the Cullen Skink Risotto and the amount of fish and flavour present in the dish was outstanding and beautifully presented. We shared the Coco Pop Brûlée and the White Russian Cheesecake. Again the flavours and presentation were first class. The lunch prices are unbelievable with respect to the quality of the food and there is no doubt that the chef is producing food that would grace any table. Only criticism was that the restaurant was quite cold even allowing for the bad weather outside. Warm, delightful atmosphere. Friendly, efficient service. Lovely curry bread, (We asked for more!) scrumptious orange posset. Pre theatre menu which added to the pleasure of our evening. A cosy restaurant. We visited for lunch, great value for two or threee courses. Not a huge choice, but the smaller menu means it is done very well. We had the Aberdeen Angus burger which was melt in the mouth. It came with lovely chips. The cheesecake was small but tasty and the coco pop brûlée was lovely. Staff very friendly and accommodating! We would return and recommend. Delicious meal, excellent service and a lovely relaxed atmosphere. Visiting from NI - we were going to the theatre and wanted somewhere handy to that. Don’t think we could have done better! The restaurant was cosy and welcoming, staff were lovely and the food (pre theatre menu) was amazing! I wouldn’t hesitate to recommend it. We will be returning to Edinburgh and although there are any number of restaurants to choose from - we’ll definitely be back! The restaurant had a lovely atmosphere and although quite full, the service was exceptional and really quick. We went for the pre theatre menu which gave us an excellent choice and the food was amazing!! Amazingly good value for such special food. The orange posset was one of the best puds I’ve had. Would highly recommend a visit. Beautiful meal but had to contend with a noisy big table next to us. Not the restaurants fault. Fabulous pre theatre venue. Great decor, service food and staff. The food was excellent. I had the smoked haddock risotto and my partner has the venison. The service was great. I would highly recommend this restaurant. The food was good. We had the 3 course pre-theatre menu. The staff were attentive. Wine was nice. The food was beautifully presented and very tasty overall. Two of the party had beetroot and goats’s cheese for a starter, and didn’t really enjoy it but everything else was delicious and well received. 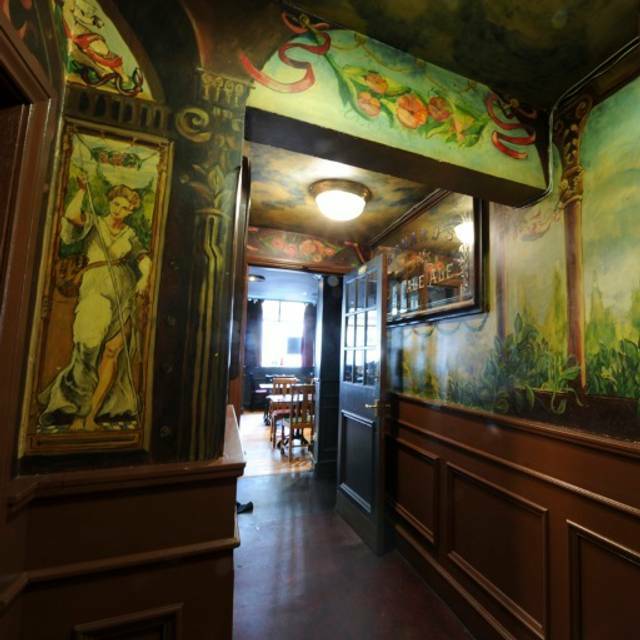 The restaurant was dimly lit which made both reading the menu difficult, and being able to see the colours of the food. Overall we enjoyed our meal and would definitely return and recommend the restaurant to others. Lovely venue, staff very attentive and great tasting food. We have been several times and will definitely be back. Great value for lunchtime but not busy at all on a Tuesday so a bit lacking in atmosphere. We all opted for two courses at 11.95 and starters had a mixed reception. Mains of smoked haddock risotto and vegetarian wellington were well received and judged tasty and filling. Those of us who opted for desserts loved the sweetness and generous portions meant we could share. We had the terrine and goats cheese for stater the terrine was really cold and flavour would be enhanced if it had been out the fridge for an hour, the dish was over powered by the mustard in the accompliment, the goats cheese starter was just whipped goats cheese no taste of beetroot, both dishes just need tweaks to made them awesome. Our mains of burger well burger was too soft and not cooked all the way through temperature was just warm rocket on the burger and as salad on the side was just too much! Lovely restaurant, staff very attentive and helpful, nice atmosphere, tables not to close so does not feel all jammed together. The menu varied, probably could have done with one more course in with the starters and mains though. However what we chose was presented wonderfully and very well cooked and extremely tasty. The only criticism, we all thought the portions, in both starters and mains were just a tad too small and could have done with a extra slice of meat to have made the overall experience truly top notch. My husband and I came to the restaurant for a pre-theatre meal. We were welcomed and shown to a lovely table for two with flowers and candle. We enjoyed our two course meal which was piping hot and perfectly seasoned. The service was very attentive and friendly. All in all a great dining experience. As being so close to the theatre should be rammed every night. Absolutely amazing food accompanied by very friendly service. First time there and will be back. Feels quite nice and casual but superb quality food. We were very dissappointed that the menu had not changed since the last twice we were there. It is a limited Pre-Theatre menu and we were advised that it only changes every 3 months, which if you are a regular is not often enough. The food was absolutely delicious, the service was great and all four of us enjoyed our meals. Excellent service. Very good food. The noisy coffee machine next to our table was the only negative. Great location for the Kings. Would definitely go back. Pre - theatre meal. Cheerful speedy service and lovely food. Just round the corner from the theatre. a perfect start to the evening. Great meal and great value for money. Friendly and extremely helpful staff. Will certainly come again. Excellent food and atmosphere. Staff were friendly, but seemed unused to handling a full house, as it was busy. Was left waiting a lot as a result. Great experience apart from that. If I could have designed a menu, this would have been it. 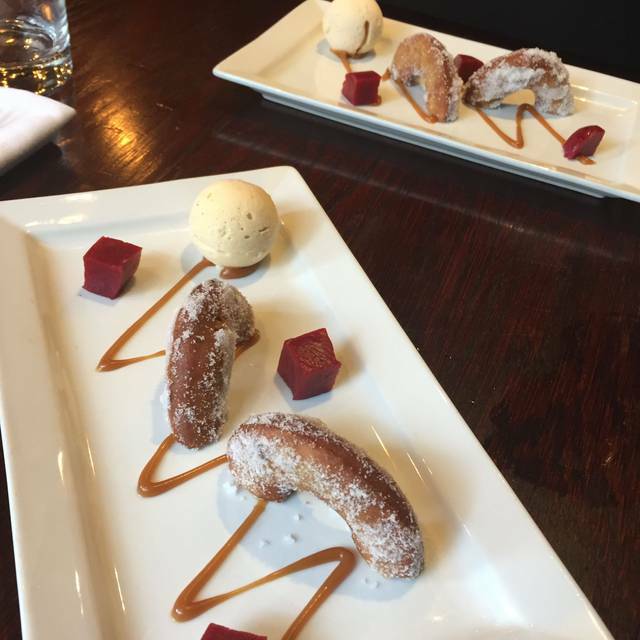 The food was excellent, the service was friendly and efficient, with good attention to detail. A nice Valentines meal. We went to the restaurant for a pre-theatre meal on Valentine’s Day. Obviously the restaurant was very busy even though we were eating early. We ate from the special Valentines Day set menu which included a gin cocktail and was very good value. There was a good choice of starters, main courses and desserts. The food was well prepared and presented. Despite the number of diners the service was prompt and very friendly. We enjoyed a very good meal and certainly plan to return.